I was on a bench by the River Dee, not far from Banchory. The sun was pleasantly warming my face. Apart from the trickling water and songbirds the only other sound was the occasional splash from a fish frolicking in the river. The only sign of another human being was an angler further downstream, standing in the middle of the river and casting a line. I was about to close my eyes when this figure appeared before me, dressed head to toe in Gore-Tex and sunglasses, and wanted to sit next to me. He was waiting for his wife to catch up. They were walking the Deeside Way and I was cycling it. We chatted for half-an-hour about nothing in particular, but it didn't matter what he was saying because I just adored the way that he pronounced words. He was speaking Doric , the dialect of the Scots language that can be heard in the Northeast. It is a popular joke that those unfamiliar with this speech cannot understand a thing, but I enjoyed listening to its lyrical rhythm. I was particularly fond of how he he said 'out' with a "oooh" before reaching the 't'. What could be a more Aberdeenshire experience than this? Sitting by the River Dee and bleetering (to talk without aim) to a local Doric speaker. After this pleasant riverside diversion I jumped back on the saddle and wheeled onto The Deeside Way. 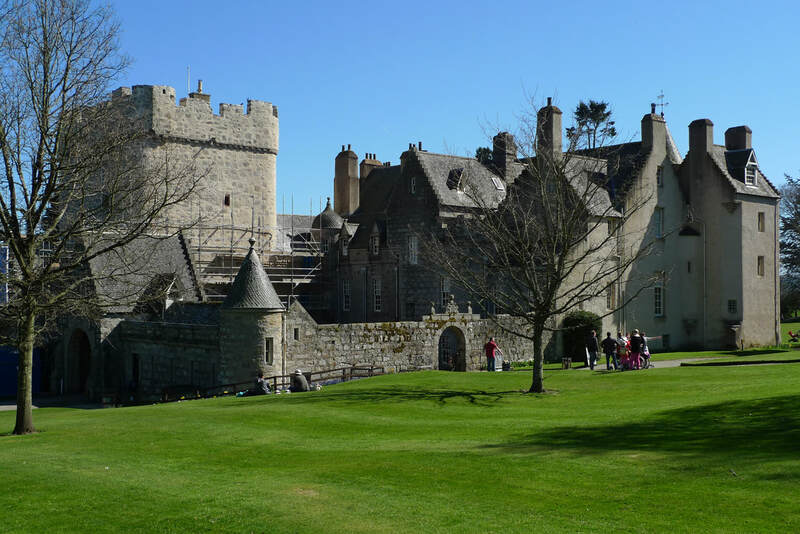 It was once a railway line, closed in 1966, that was famously used by the Royal Family to travel to Balmoral Castle. It begins near the centre of Aberdeen at Duthie Park. From here a well-surfaced, traffic-free, tarmac path travels through the suburbs of the city and into the countryside so beloved of Queen Victoria. Today I was covering the first 17 miles to Banchory. ​I felt a bit sad at seeing these stations waiting for trains that will never arrive, but I was witnessing a bright new lease of life for this railway. It was busy with other cyclists, joggers, dog walkers and just walkers. Wildlife was thriving- a tiny dormouse scampered across the path and I spotted a buzzard, flexing its wings, resting on a tree branch. There is a delightful secret garden a short diversion from Cults Station. Allan Park feels like it is in a hidden valley with a staircase leading down to a large pond, with trees sheltering the place from the outside world. I had it all to myself and wished I had more time to relax on one of the benches, but I had to get back on the railway. 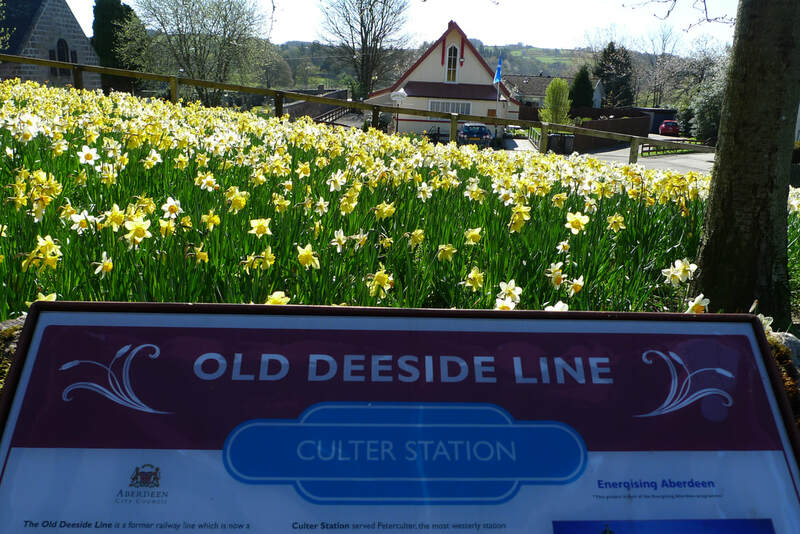 ​I reached Culter where the original wooden station sign survives and there was a riot of daffodils. It was the kind of floral display that you would could imagine a 1950s Station Master proudly taking care of. From this point onwards the tarmac path gives way to a narrower gravel path, encroached by trees. It began to feel much more rural and there were a lot less people using it. In places it diverted away from the original railway because the remains of the line were on private land or simply unusable and I found myself on farm tracks and minor roads. I took a short diversion to Drum Castle for coffee and cake in the tea room. It is located in the old kitchen and has an iron range stamped with 'James Gray & Son, Edinburgh.' There is a flagstone floor and lots of copper pots on display. A visitor was discussing the dilemma of leaving their dog, Willow, outside. "He's worth a lot of money. So well behaved, good with children." A staff member had clearly fallen in love with Willow and said. "Someone will be off with him. You better watch, I'll take him home. He's so cute." Drum Castle was occupied for a staggering 653 years by a single family, the Irvines, until the death of the 24th Laird in 1976. Inside there are the expected castle essentials. Library full of beautifully bound books- check. Gallery hung with family portraits- check. Four poster beds- check. There is even a cabinet containing the 11th century hair of Malcolm, King of Scots, but what struck me the most about Drum Castle is how much fun it must have been to spend a childhood here. I read about a game that involved rolling a granite table top, like a hoop, around the billiard table which resulted in 'many bruised shins.' One of the Lairds chased his children across the lawn whilst shouting "I am a Tingalorrie- I come from Inverurie!" He arranged for the chauffer, Anderson, to drive the Rolls Royce to Cults to collect ice cream and bring it back to the castle for the children. "You should see the first class seats. They are even comfier." Up until this moment I had to use my imagination to picture what it was like to take a train on this line. Now I was onboard a vintage carriage, chatting to the guard about how comfortable the seats are compared to their modern equivalent. 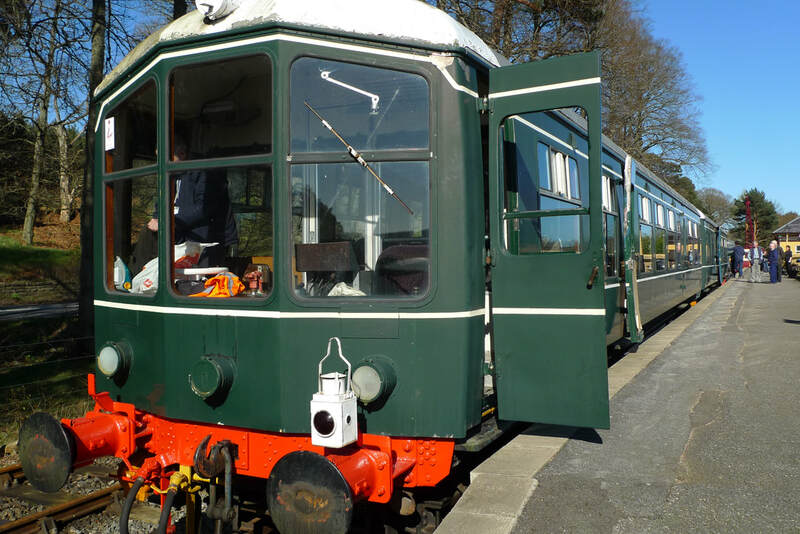 The Deeside Railway has restored a mile of track at Milton of Crathes and created an authentic experience of what rail travel was like back in the day. You begin in a restored station with wood paneling and a ticking clock. 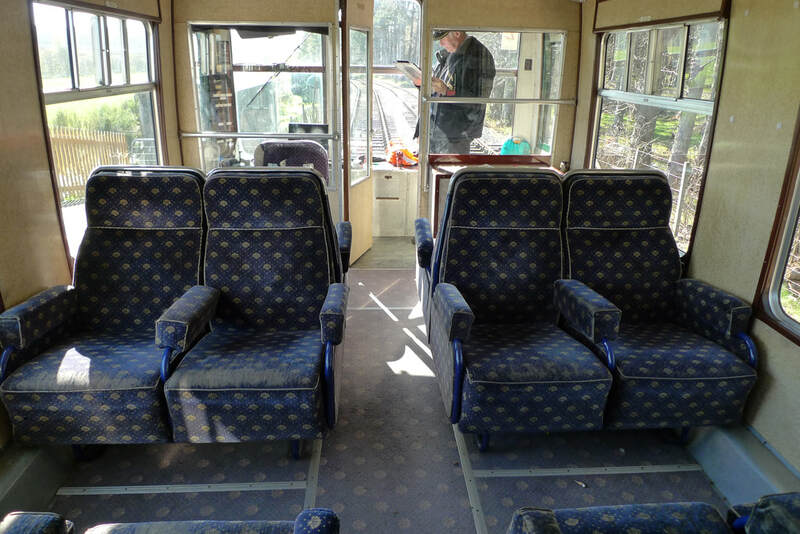 Then you step onto a 1950s train called a Battery Multiple Unit. 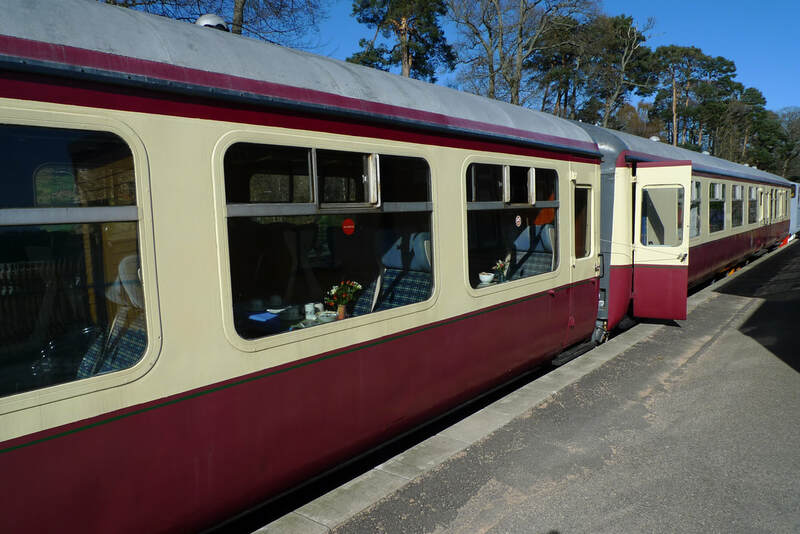 This was an experimental train that used to run on batteries that were recharged at Aberdeen and Ballater stations. "They weighed 8 tons and were meant to last the whole trip," the guard told me. "But some of the drivers said they ran out." The trains were withdrawn from service after several small battery fires and today it is pulled by a diesel shunter. One of the best features of this train is that there is a massive window looking into the driver's cab, so that you get a wonderful view of the line ahead and the driver at work. "To put the track in we had to move the cycle path," the guard told me, "We got a grant to do that," Once the train was king, now it is flanked by a cycle path and the A- road, the new transport kings. There is only one mile of restored track, so I was soon back at Milton of Crathes where I stepped inside the buffet carriages. They had tables set with china cups and I sipped on a coffee whilst some railway volunteers talked excitedly about a sports car they had just seen that was worth one and a quarter million pounds. Take On Me by a-Ha was playing on the radio and I heard a woman at a nearby table say to her child, "This was your Dad's favourite song when he was little." Yes, I thought, the Deeside Way is all about nostalgia. The railway might be gone, but there are plenty of reminders of its heyday to make this an intriguing cycle . 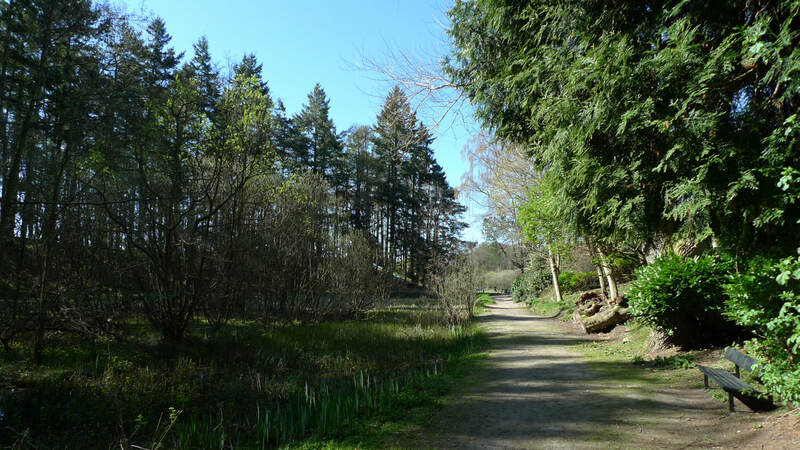 Take a train to Aberdeen and then make your way to Duthie Park (about 1.5 miles) where the Deeside Way begins. It is about 17 miles from Aberdeen to Banchory. 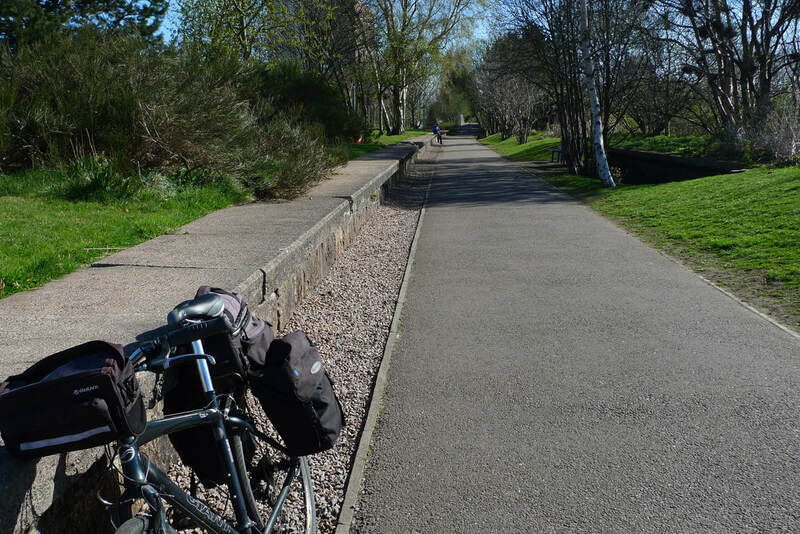 The Deeside Way is mainly a dedicated cycle path, so ideal for those new to cycling or not confident on roads. It is mainly flat. There are information boards at each of the old train stations so that you can read about the history of the railway line. Allan Park is a short diversion from the cycle path and a lovely place for peace and quiet. Drum Castle is a short diversion from the Deeside Way. It is famous for its rose gardens and woodland walks. 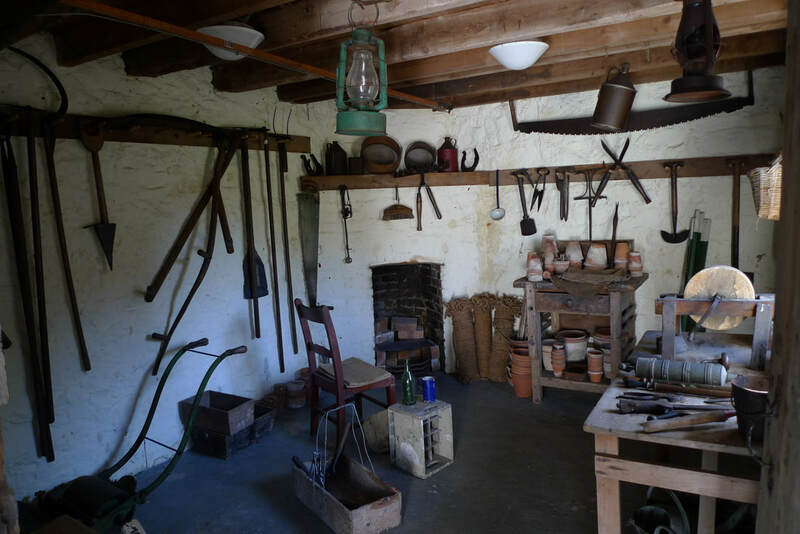 Don't miss the gardener's bothy, a charming place crammed full of old gardening implements. There is an entry fee to Drum Castle. 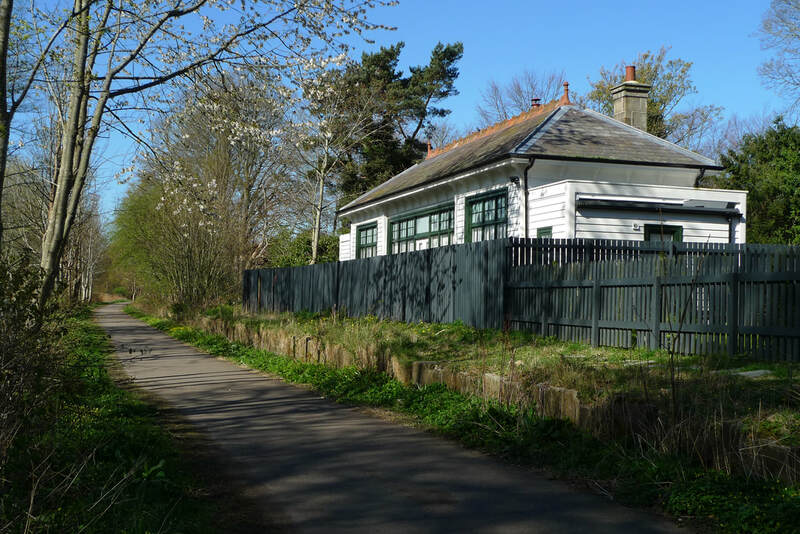 The Deeside Railway runs alongside the cycle path at Milton of Crathes. Drum Castle has a tea room. 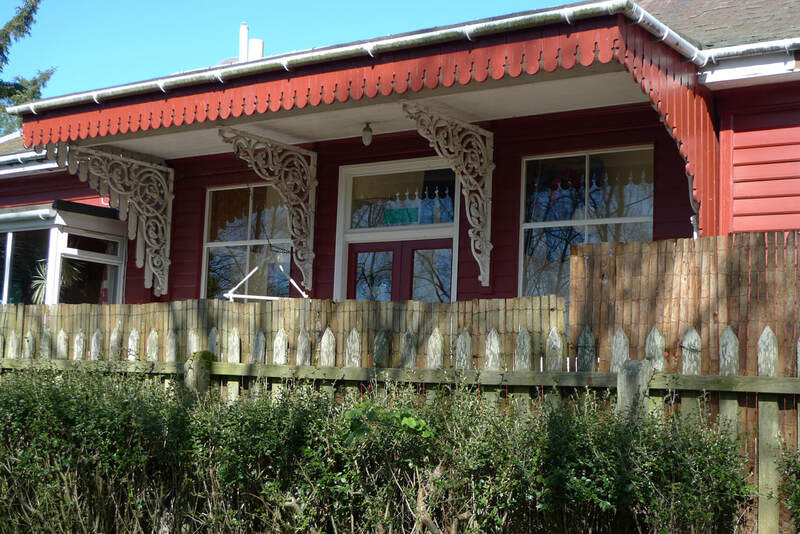 The Deeside Railway has buffet carriages. I stayed in the Burnett Arms, an historic coaching inn with a striking white exterior. The comfortable rooms have modern decor. I had a high quality breakfast of poached haddock with two poached eggs.